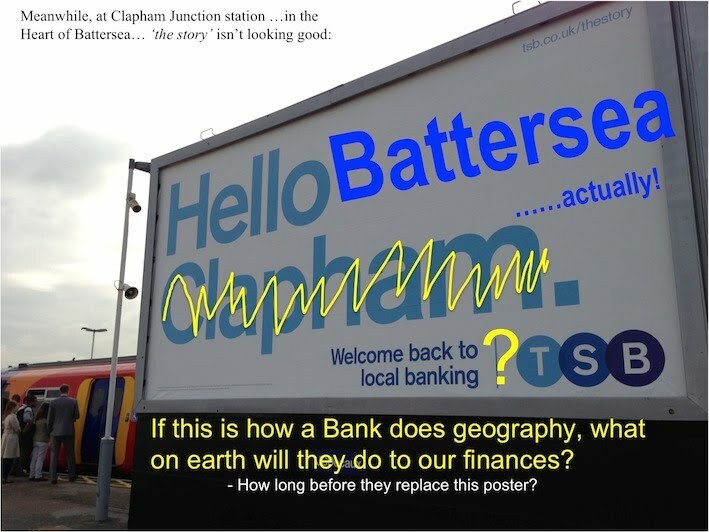 TSB has offended Battersea and made a major marketing faux pas by putting up a huge poster on Platform 10 of Clapham Junction station with the words "Hello Clapham...welcome back to local banking", thereby instantly announcing to the world that it isn't very local at all. 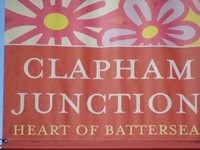 Here at the Love Battersea Campaign, we ask the question: If this is how a Bank does geography, what on earth will they do to our finances? We have now spoken with the media team at TSB and they seem to have grasped the seriousness of the mistake and we hope above all hope that they will remove the poster and put up one that says "Hello Battersea"!